Instant is the new norm. Traditionally it has taken one business day for a payment to reach the beneficiary. Now with the introduction of SEPA Instant you will be able to complete a euro payment anywhere in Europe within 10 seconds. What’s more, the scheme operates 24 hours a day, 365 days a year. 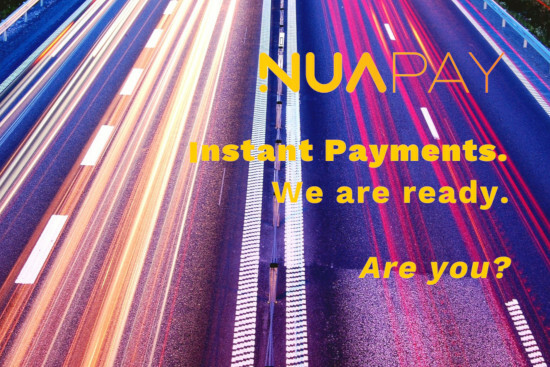 From September Nuapay accounts will be able to send and receive SEPA Instant payments meaning you can transfer money in seconds rather than days. As would be expected from the Nuapay environment, SEPA Instant payments can be initiated, managed and monitored by our easy to use APIs or screens. Plus when you receive an Instant payment, Nuapay can provide you with real-time alerts via API webhooks or reports.